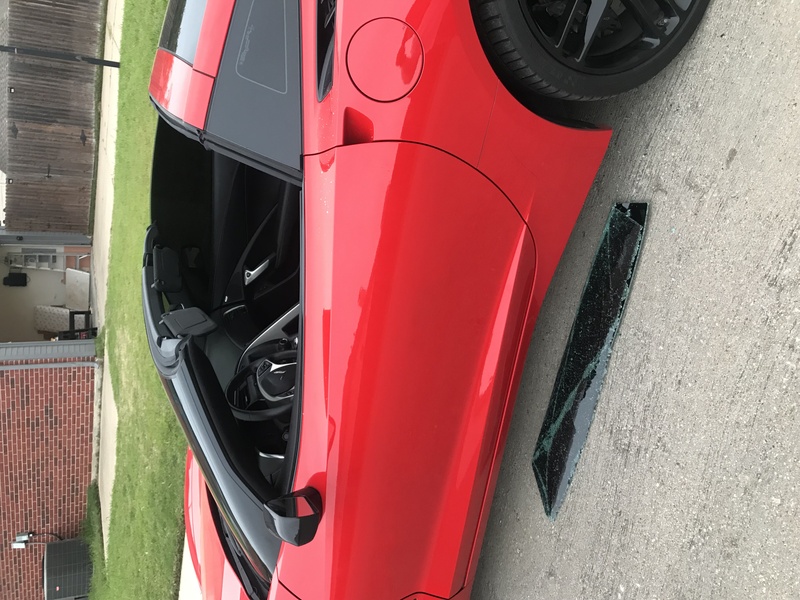 At 3:51 am central, my 2015 z51 was broken into by the driver side window and a (suspected professional) thief got into the vehicle and unlatched the 3 locks to remove the transparent hard top and took off running with it into an alleyway. This all happened in a span of 30 seconds and some footage on a nest camera caught the action. The perpetrator was unable to be focused on. Has this happened to anyone and is there any way to prevent this? 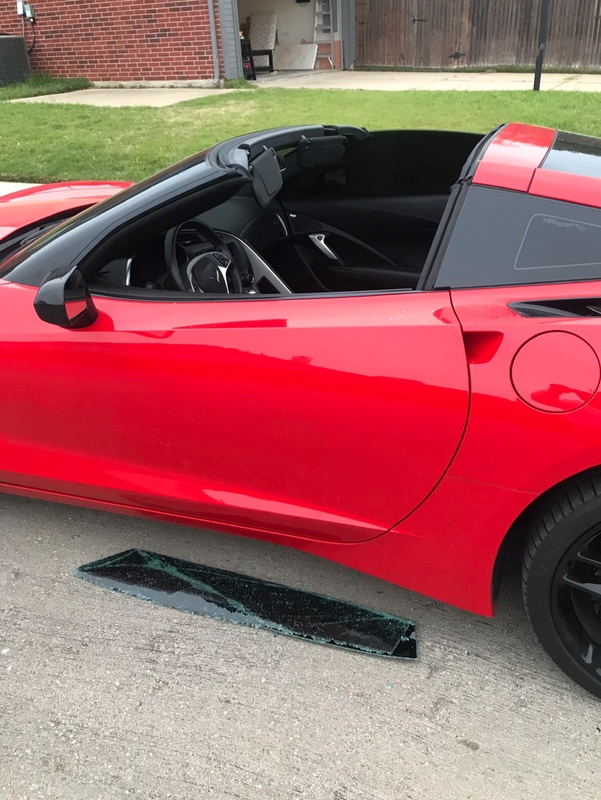 We are all so sorry that happened to your Corvette. Sorry, am unaware of any way to prevent the same thing being done to all of ours. I hope when you window was broken, the glass did not damage your door paint or any part of your interior. Sorry to read this rnathani91. Unfortunately, there really isn't any effective means to prevent that type of smash and run except to park in a closed garage. I would check the forums and craigslist for someone selling a top as the thief is likely trying to unload it somewhere. If you are in a situation where your car sits outside and can be subject to repeated acts then you should look at how to secure. 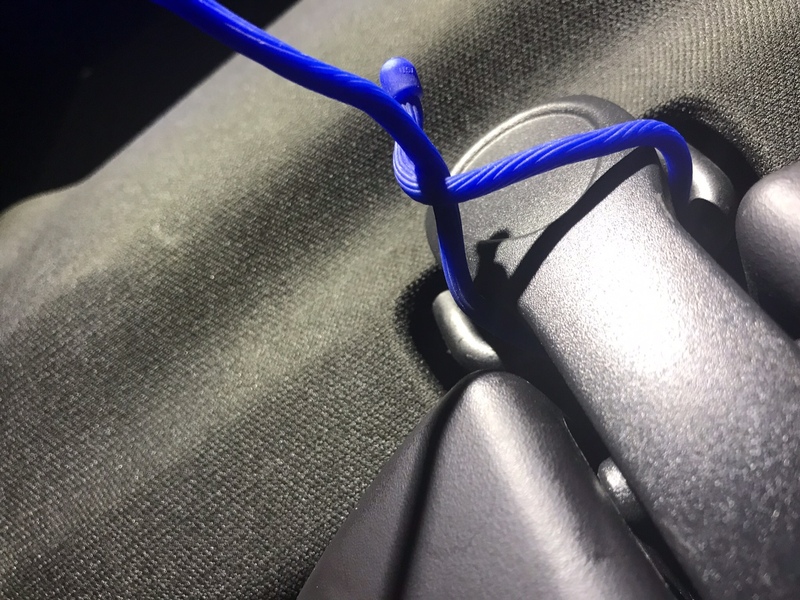 I immediately thought what would I do and an idea that came to my mind is I tried in my car a way to thread a tie through the rear top latch to see if I could release it and I couldn’t. 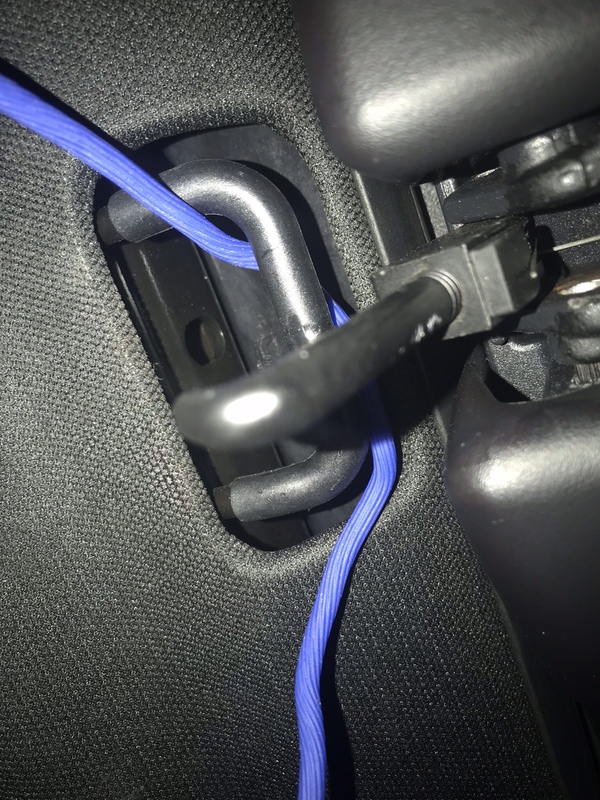 So I then thought of the pad locks with the cut proof wire to lock the top down so it would definitely slow the thief down and prevent him from a quick smash and grab. Just an idea and sorry for your misfortune and lost. Last edited by kgrant; 04-07-2019 at 07:27 AM. white_out and Boomer like this. Last edited by JJBCorvette; 04-07-2019 at 07:45 AM. 30 sec. to remove the top. Someone new what they were doing. I can't remove my own top that fast. Another solution is to buy one of the devices that people can carry on their key ring as a tracker device. So when someone loses their keys, they can go online and see where the keys are on a geographical map. One option I know is called the Tile Square which can be used for items such as keys. For example, take the tile device and slip it under the headliner so if something like this ever happened again you can track the whereabouts of your top online and it works the same way as the Find my iPhone option on those who have iPhones. Last edited by kgrant; 04-07-2019 at 11:49 AM. The tile is an interesting suggestion. However, it requires you or someone on the tile network to be close enough to pick up the Bluetooth signal. It isn't like some gps tracking devices that could be found as long as there is satellite reception. There is limited range but per their website, there's also an online community that I can presume could assist but that would be depended on the number of users. So like you said, just an interesting consideration to a problem and if it became a larger problem I'm sure some type of GPS tracking solution could be developed if there was a need. Correct. I was just pointing out the it is not a gps device where you can virtually always locate the tracker. I use Tile (along with another device) to keep track of all of my camera equipment. But for Tile to work, it will depend on someone who is a Tile community participant being near to the specific location of the stolen item, to find it. Otherwise, you may or may not get a last known location for the tile that has very little to do with where the actual current location of the stolen item. Tile can certainly be a viable solution especially if you live in a city, no so much in a rural area. The alarm went off briefly as he broke through the glass and during the whole process of top removal and 15 seconds after he ran off. I’m assuming because he didn’t open the door. I think he was able to reach to all the latches and the car thought it was no entry. Thanks for the suggestions as I might explore both lock and tile option. Sorry to hear about your break in rnathani91. Normally my Z51 is parked in my locked garage every night, but I do also have a C4 that is spending it's life outdoors. For that, I have a non-descript car cover that can be locked keeping prying eyes off. It does sound like someone that just wanted the top for resale knowing they can pull in around $1k for the transparent top on the open market. The tracking ideas above have merit, but if you can prevent the attempt by concealing it, that's gonna save you some money replacing a side window. 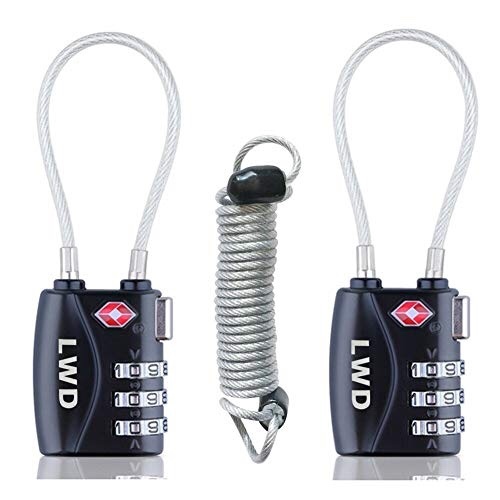 I am not sure what colors but I just googled Wired Pad locks to show the concept that I was suggesting. You can always paint and clear coat if you find a lock that is easily taped off where you can spray paint or if brush paint. They might still break the window but won't spend the time trying to figure out how to get the lock off so they will flee and then you just have the broken window. I just try not go to places at night where I don't think I can park in high traffic area and/or parking structure but I have other options to drive. Does that lock cable come in red? I bought a used Carbon Fiber top that didn't have a headliner and I know that it had a barcode sticker and I believe serial number that you wouldn't see unless you removed the headliner but I don't know if that's standard.